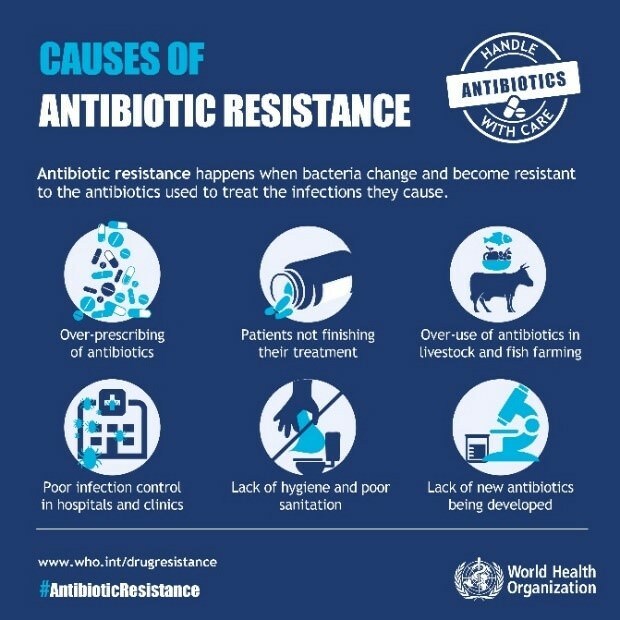 This week is World Antibiotics Awareness Week—the World Health Organization (WHO) campaign to increase awareness of global antimicrobial resistance that threatens to undermine progress toward the Sustainable Development Goals and longer-term Millennium Development Goals. The theme of the campaign—Antibiotics: Handle with Care—promotes the idea that antibiotics should be used sparingly (beyond the ‘magic bullet’ approach). 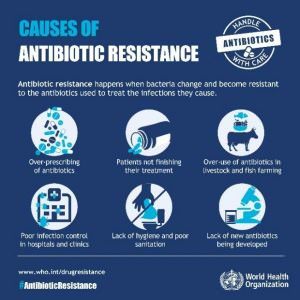 In doing so, the WHO aims to establish best practices among the general public, health workers, and policymakers to avoid the further emergence and spread of antibiotic resistance. Despite this initial political stepping stone toward addressing antibiotic resistance, AMR remains a serious problem globally. 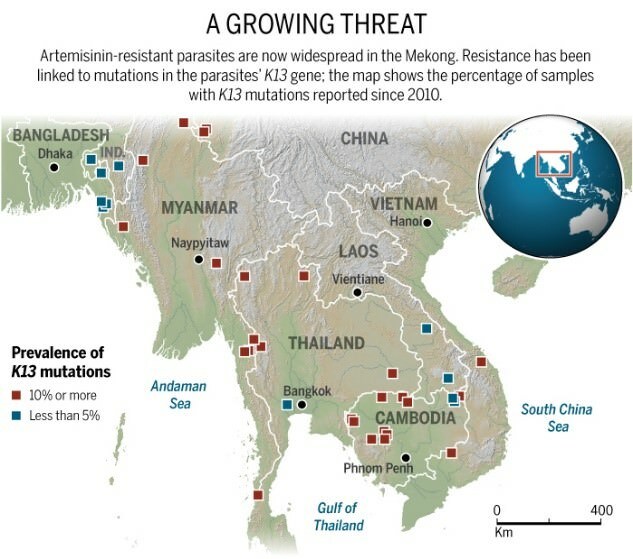 In July, officials confirmed resistance to artemisinin-based combination therapies, which serve as first-line treatment for P. falciparum malaria in five countries of the Greater Mekong sub-region. While the proliferation of malaria regionally is problematic from a public health and economic perspective, even more worrisome is the risk of multi-drug resistance spreading to other countries and other parts of the globe. A high-level AMR meeting that was part of the United Nations General Assembly meetings in September that resulted in the adoption of a new Political Declaration calling for coordinated global action to target AMR. Highlights of the new doctrine include delinking the cost of R&D from product prices and sales volume—which encourages new drug development while ensuring affordable access—and the establishment of an UN Interagency Coordination Group that will serve as a monitoring and regulatory authority in all AMR-related matters. 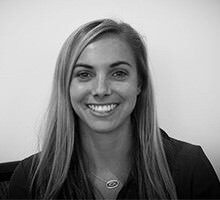 ReAct—a group that aims to raise awareness by driving political action in managing human and animal AMR—established the first-ever Antibiotic Resistance Coalition (ARC) in 2014, and is currently developing a Global Antimicrobial Conservation Fund for low and middle income countries. The Global Antimicrobial Conservation Fund aims to support capacity building to accelerate AMR-related action in some of the world’s poorest countries, which are expected to account for over 90% of the estimated 10 million annual AMR-related deaths by 2050. ResistanceMap, a data visualization tool, was established to allow users to explore global AMR and antibiotic use trends in humans and animals. Assembled by the Center for Disease Dynamics, Economics & Policy and supported in part by the Bill & Melinda Gates Foundation (BMGF), ResitanceMap provides AMR data from 49 countries and for 12 organisms as well as antibiotic consumption data for 75 countries across seventeen antibiotic classes. While it will continue to be important to raise awareness about AMR, data visualization tools like ResistanceMap will be critical. These tools contain open-access spatial databases that enable users to compare past and current shifts in AMR distribution, as well as project future changes. By providing a platform for international scientists to quickly exchange relevant, harmonized data, these tools will help to streamline the research process while providing various stakeholders, activist and advocacy organizations, and coalitions with the evidence needed to drive political cooperation and influence policy at a global scale. Data visualization tools offer a light at the end of the AMR tunnel; I look forward to seeing how these tools influence collaborative efforts to address global AMR.